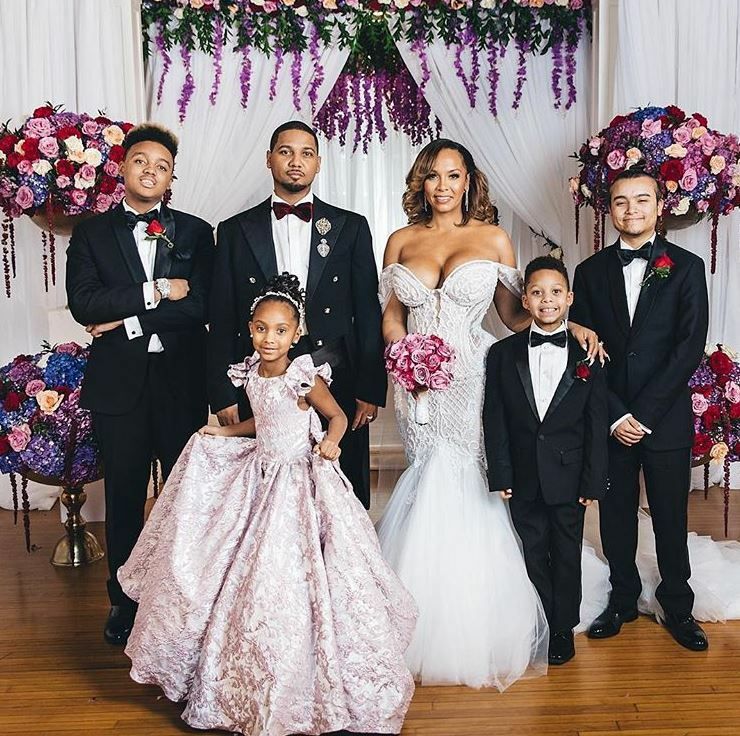 #SantanaPutARingOnIt: Go INSIDE Juelz Santana & Kimbella's Wedding Ceremony! 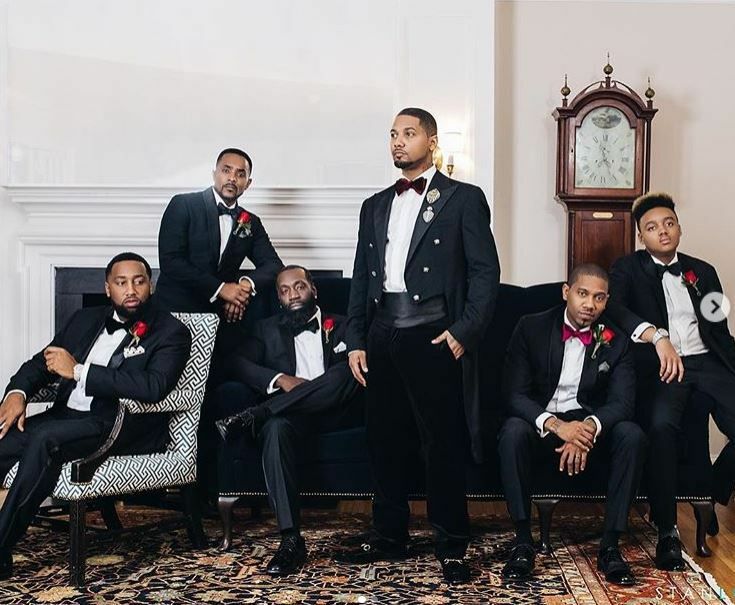 Juelz Santana finally manned up and put a ring on it a few months ago. Now, he's a married man. 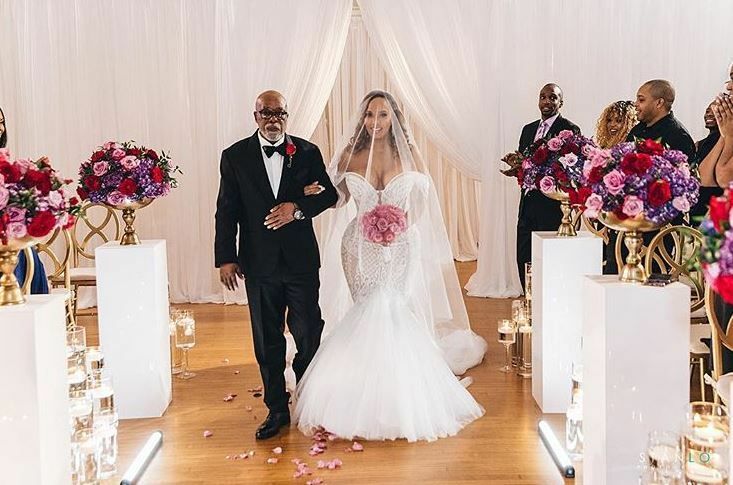 After popping the question at the Apollo Theater during one of his shows last November, the rapper-turned-reality show star walked down the aisle to officially tie the knot to his girlfriend of 10 years, Kimbella. 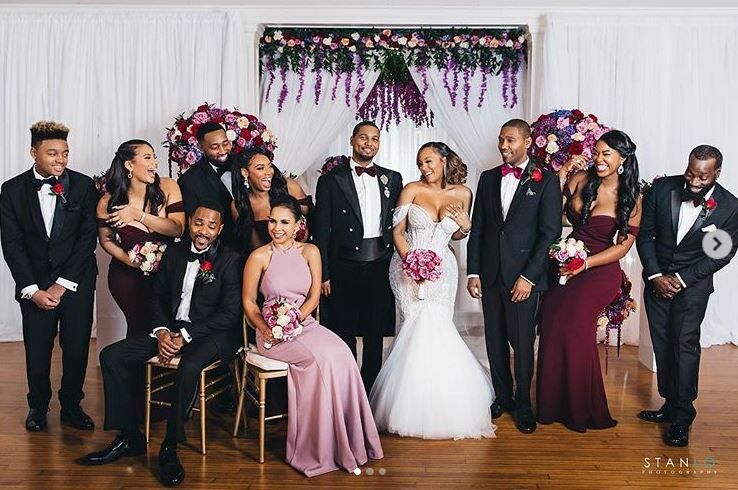 The couple exchanged vows in an intimate ceremony in NYC in front of their closest family and friends, including their children. 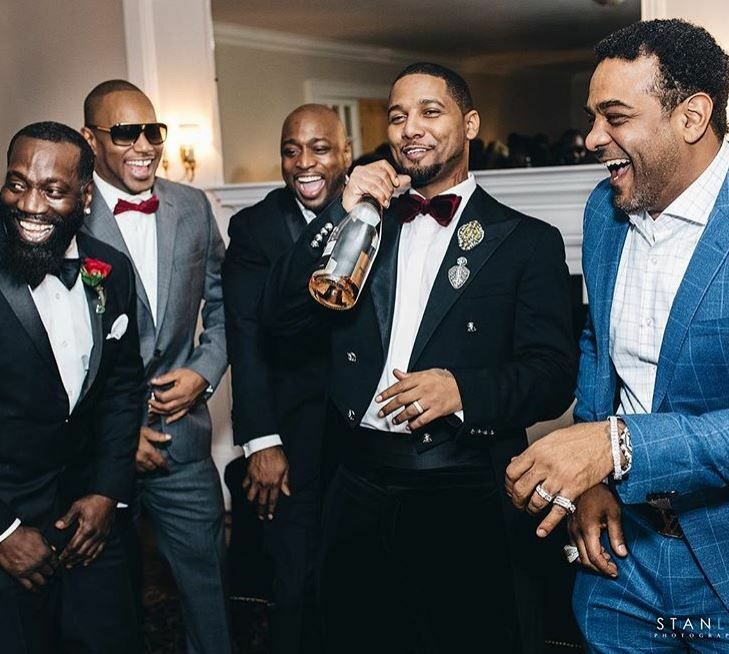 A few of their celeb friends / "Love & Hip Hop" co-stars were also in attendance, including Remy Ma and Papoose, Maino, Lil Kim, Jim Jones, Cam'Ron (JuJu's ex), The Diplomats, Mona Scott Young. 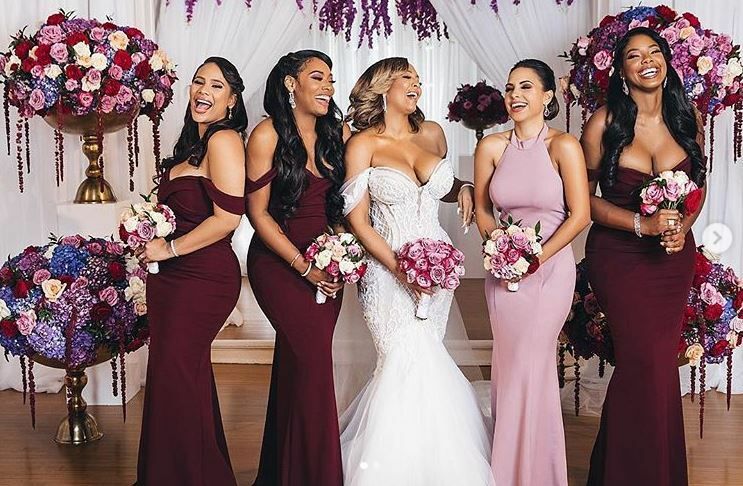 Kimbella's friends JuJu, Yandy Smith and Cyn Santana served as bridesmaids. 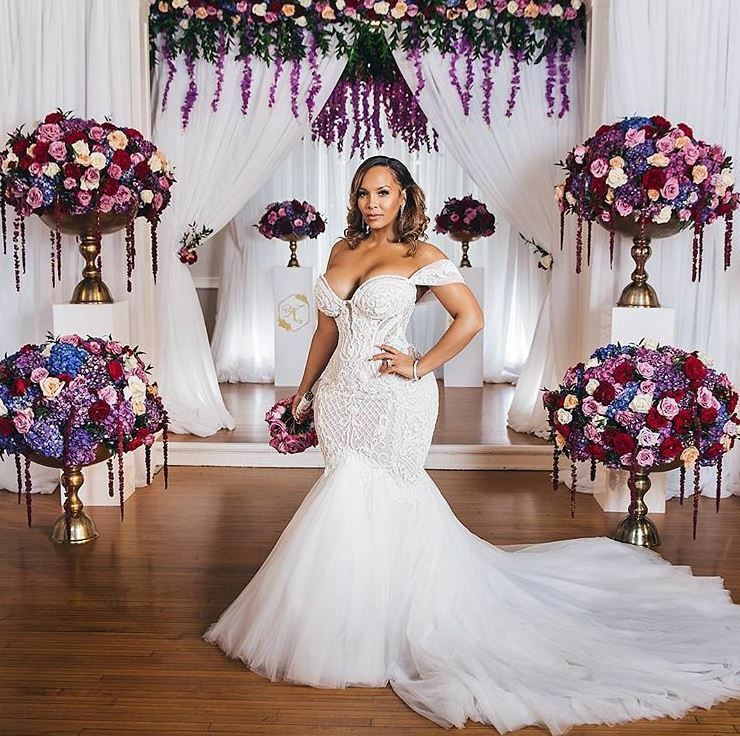 Styled by stylist Selina Howard, the "Love & Hip Hop" starlet wowed the audience in a mermaid style wedding dress created by Australian designer Leah De Gloria. In December, it was reported that Juelz took a plea deal and was sentenced to 27 months in jail. It's unclear when he'll turn himself in, but he's making the most of his time before he enters the big house. He was indicted on weapons and drug charges after TSA found a gun in his luggage as he tried to take a flight out of New Jersey. The lovebirds walked hand-in-hand inside the reception to Kem's "Love Calls." Then, they shared their first dance to “Perfect Duet” by Ed Sheeran and Beyoncé. 01/10/19 we said I DO! #SantanaPutARingOnIt Bridal Styling and Wedding Management @vaingloriousbrides Photography @stanlophotography Videography @dexterityproductions Kim's Hair @tb_hairstylist MUA @erik_mua Bridesmaids Hair @hairbyantionettenyc & @kyiajoneshair MUA @tokyoglam Floral Design @platinumbystacyann Event Production @jewelgeorgieffweddings Wedding Dress @leahdagloria compliments of @shopvainglorious Flower Girl Dresses @pantoramini Bridal Robe @amandabardenofficial Bridesmaids Dresses @whiterunway Assistant Stylist and Alterations @alicialavettefashions Groom Stylist @thegroomsgarcon Tuxedos and Suits @theblacktux Jewelry @sheryljonesjewelry Pipe and Drape @aboutthedetailsnyc and @jaieventrentals DJ @iknowmikemusic Event Decor @glampartyrentals and @evolutioneventrentals_nj Invitations and Menus @parchmentbydami Wedding Cake @sugarfetishcakery & @sugar_fetish Cake Monogram and Decals @ten23designs Officiant @marriedbyrevroxy Bartenders @taylormadebartending Catering @keepitchefnyc Thank you!! 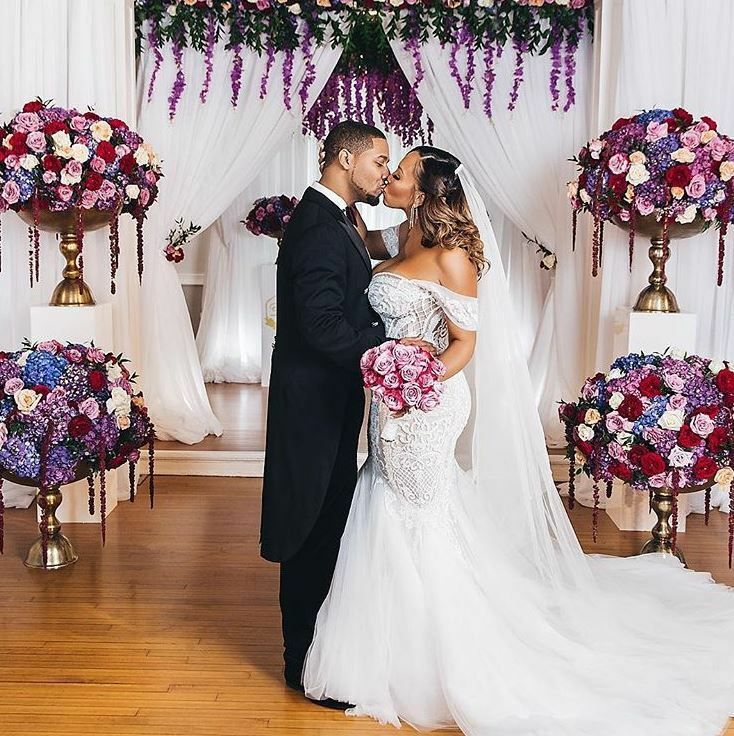 Cyn Santana, who was one of her bridesmaids, is next!